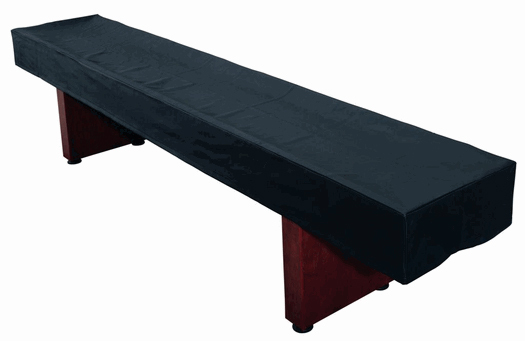 The Deluxe PU Leather Shuffleboard Cover protects your shuffleboard table from dust, scratches, and other hazards. If you consider your table a serious investment, then this is a great way to protect it. PU leather, also known as bicast leather, has a layer of polyurethane applied to the surface before being embossed. It is easy to clean and maintain and has a long-lasting ?like new? look. It can easily be cleaned with a damp cloth- a lot easier than cleaning the playfield and gutters!